There are some beautiful public parks in Madrid – the city is much greener than what you can imagine. All these parks offer a pleasant refuge from the often hectic streets in the city, especially during summertime when the temperatures can be very high. Discover the best of the Spanish capital’s green spaces thanks to this short list our favorite parks in Madrid. Campo del Moro. The garden’s design was inspired by the fabulous Versalles’ gardens in Paris. It is almost 2 centuries old and has some 70 arboreal species and two famous fountains. Casa de Campo. Located on the right bank of the Manzanares River , it takes only ten minutes from the city center to get there by the cable car. The Casa de Campo is a great place for cycling, running, picnic and day-trekking. The park also has facilities for exhibitions and sports. Dehesa de la Villa. It is undoubtedly one of the city’s greatest green lungs. With over 60 hectares of woods, this urban forest transports you far from the maddening rush of Madrid. Invernadero del Palacio de Cristal de Arganzuela. Formed by four spaces with different microclimates, you can admire here some amazing tropical and subtropical plants. It is located in what was once the former Arganzuela abattoir. Jardín El Capricho. Probably one of the most beautiful parks of the city, it is also unknown to most Madrileños. The gardens feature a labyrinth, parterre, a lake and creek, and a group of beautiful constructions. Jardines de Sabatini. Once entering the gardens you will get the feeling of royalty, wondering around the trees and white marble sculptures, relaxing in the shadow and waiting to watch the sunset from the best view by the rectangular pool in the middle of the garden. Madrid Río. This area is an enormous leisure and cultural enclave, housing historical sites and cultural and leisure facilities, and goes along the Manzanares River. Parque de Atenas. One of the gardens that occupies the surroundings of the Royal Palace is the Parque de Atenas located on the southern edge of the greater park Campo del Moro just beside the Manzanares. Parque del Buen Retiro. 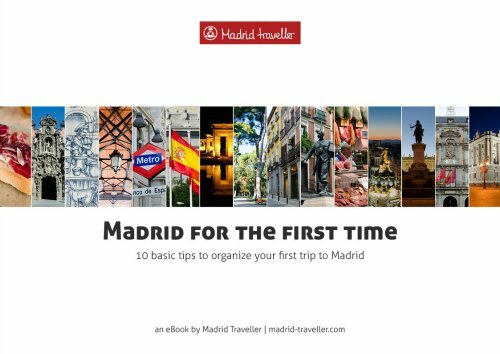 It is Madrid’s most famous park, which is located just behind the Prado museum, and it is an ideal way to start or finish any day in the city. The park was once a palace garden, and it contains a boating lake and many majestic fountains. Parque Juan Carlos I. This park is an ultra-modern green space with a lot of attention-catching installations such as the Garden of the Three Cultures or the Fountain of Cybernetics where light and sound shows are carried out occasionally. Parque Juan Pablo II. This relatively new park has several themed areas such as the Mediterranean Gardens, or the Sun and Water Garden, where typically Mediterranean fields blend with more modern ones. Parque Líneal del Manzanares. This park, created to inspire a return to nature and to recreate a traditional Mediterranean garden, is not far away from the Caja Mágica. Parque del Oeste. It is a beautiful old garden with spacious stretches of lawn and shady old trees. There is a large rose garden at the bottom of the hill, where a rose show is held each spring. [fusion_fontawesome icon=”tag” circle=”no” size=”medium” iconcolor=”#B5121B” circlecolor=”” circlebordercolor=”” animation_type=”” animation_direction=”” animation_speed=””/]Parque de Pradolongo. It is a vast park with a pond in its center that also has a botanical garden with 30 geometric parterres. Parque de la Quinta de los Molinos. This park is located in San Blas, in the east of Madrid (towards the end of Alcalá street). It is particularly worth visiting when the park sparkles featuring more than fifteen hundred almond trees flowering at the same time. Parque de San Isidro. Formerly known as Pradera de San Isidro, becomes a very popular place when the San Isidro Labrador festivities are celebrated in May. It is next to the Ermita de San Isidro. Parque de Tierno Galván. This park, named after a 1980s Madrid’s major, houses the Planetarium, and the IMAX cinema. Quinta de la Fuente del Berro. This park was once known as Quinta de Miraflores, a complex of gardens commissioned by King Felipe IV. It has a wide variety of trees and several fountains, cascades, a couple of ponds and a small mansion. Real Jardín Botánico. What makes this amazing garden stands out from the rest is that it contains over 25,000 live planet species. It has also an amazing greenhouse with three different climates: tropical, subtropical and desert. Dalieda de San Francisco. Located where the former Convento de San Francisco was, this small but peculiar garden is solely devoted to different species of dahlias. El Casino de la Reina. There used to be a romantic 19th century garden here but the remains are still a good spot to relax after strolling around Lavapiés neighborhood. Huerto de las Monjas. No sign will let you know that Bernardine nuns used to have here a vegetable garden in the 17th century. The convent was torn down in 1972 but the green area is still there. Jardín Fundación Lázaro Galdiano. Located inside this beautiful museum, it was designed in the early 1900s following the French trend so in fashion at that time. Jardín de la Casa Museo de Joaquín Sorolla. The painter himself designed both his house and the garden. This area has a clear Andalusian inspiration and you can admire some of Sorolla’s sculptures. Jardín de la Casa Museo Lope de Vega. Several trees (a cypress, an orange tree and fig tree) along with different flowers (roses, jasmines), a little vegetable garden, a pigeon loft and a well form the peaceful place where the writer found his inspiration. Jardín del Magnolio. This fresh and delicate corner hidden inside the Museo del Romanticismo preserves its 18th century design. You don’t need to enter the museum to access the garden. Jardín del Museo Nacional Centro de Arte Reina Sofía. Built by Sabatini in the 18th century, it was for a long time the Hospital de San Carlos main courtyard. Jardín del Museo de San Isidro. This little garden inside the museum combines some fossils and beautiful plants. Jardín del Príncipe de Anglona. Located a few steps away from one of the most lively areas of La Latina, this garden is the perfect place for a romantic date. La Cuesta de la Vega. This little oasis is very little known because of how close the Sabatini Gardens, the Campo del Moro or the Plaza de Oriente are.